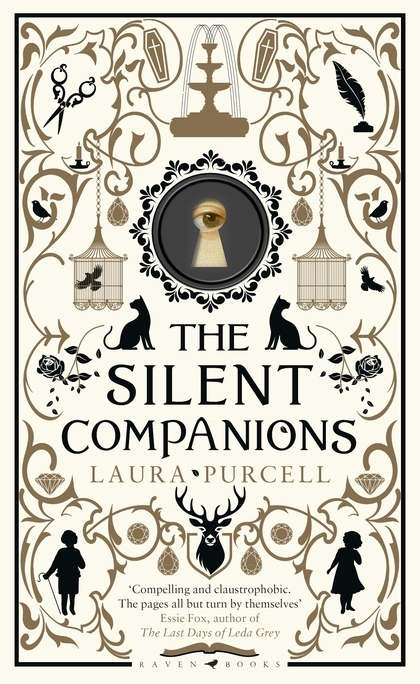 Gothic horror is back in vogue and it does not get much more gothic than Laura Purcell’s debut The Silent Companions. Purcell has thrown everything at her scenario – an opening scene in an asylum, a pregnant widow still in mourning, a creepy village outside of an even creepier manor house, whispers of witchcraft, surly servants, disappearing curio shops, mysteriously locked doors, black cats and strange noises. And the icing on this decidedly black cake are the unnerving, lifelike wooden figures, the silent companions of the title, that seem to move on their own and leave wood shavings and splinters in their wake. It is 1865 and Elise Bainbridge is in mourning for the loss of her husband Rupert. She is retreating to the family estate known as The Bridge with Rupert’s young cousin Sarah and from the start things go wrong. There is only a skeleton staff in the house and locals from the village will not work there due to historical rumours of witchcraft. Almost immediately strange things start to happen – including odd noises in the night – and they become stranger when a previously locked door to the attic comes open revealing the lifelike wooden figure of a girl and the diary of one of Rupert’s ancestors. As the companions start to multiply around the house and the creepiness factor increases, the potential metaphysical source of the trouble is revealed through diary entries from 1635. As already mentioned, Purcell throws every Gothic horror trope in the book at this tale and yet somehow she makes it work. Her descriptions of the house and the landscape are evocative, the narrative builds a sense of cloying unease and the creepy companions are… well, creepy. And just to keep readers on their toes, Purcell introduces a strain of ambiguity to the whole thing, heightened by the sections in the asylum. So if 1980s horror homages are starting to wear a little and you feel like dipping back a little further into the more classical roots of the current jump-scare fad, The Silent Companions may be the way to go.